The great British summer has well and truly arrived! 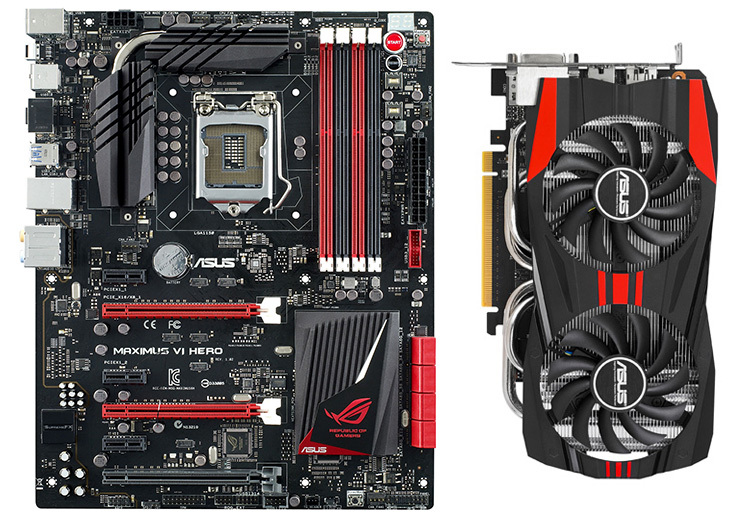 To celebrate, HEXUS has teamed up with ASUS to give our UK readers the chance to win a high-end motherboard and graphics card bundle! This high-performance combo is comprised of a Maximus VI Hero Z87 motherboard for use with a latest fourth-generation Intel Core processor and a just-released GeForce GTX 760 DirectCU II graphics card. The competition winners will be picked at random from all eligible entries that arrive by midnight of the closing date, August 16, 2013. Only one entry is permitted per household per HEXUS entry form and winners will be notified within seven days of the competition closing date; second Facebook entries, if applicable, are permitted. Duplicate entries on either form will result in disqualification. The prize is an ASUS Maximus VI Hero motherboard and ASUS GTX 760 DirectCU II graphics card. This competition is open to HEXUS readers in the UK only. Ah, it's fixed. My entry has been logged and I *have* entered these other HEXUS competitions. Thanks for the Answer devBunny LOL Another great giveaway count me in thanks. Meh.. another giveaway of stuff I really need that is UK only. I know its the vendors and not not Hexus that set the availability, but I still don't like it. Read only those in the UK from today.